I've been listening to the song Sky Chord ~Otona ni Naru Kimi he~ by Tsuji Shion a lot lately, so I decided to make a wallpaper. 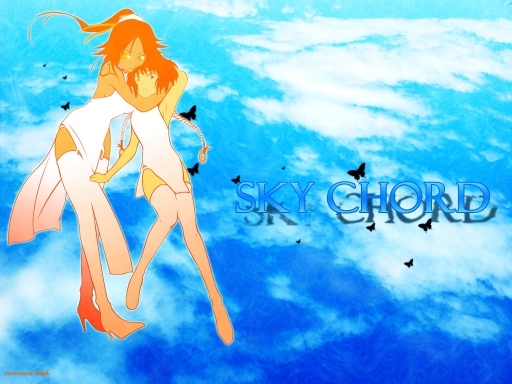 It took me awhile to find a good picture to match with my sky background, but then I came across this orange pic with soi fong and yoruichi. I think it complements it well. What do you think?